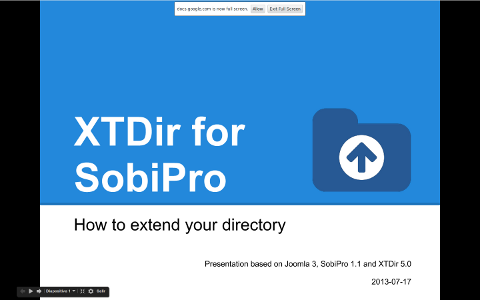 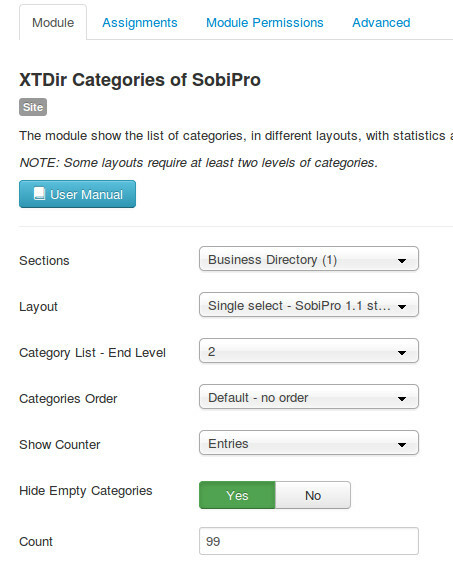 " XTDir Categories of SobiPro is a module to show a list of categories in your site." 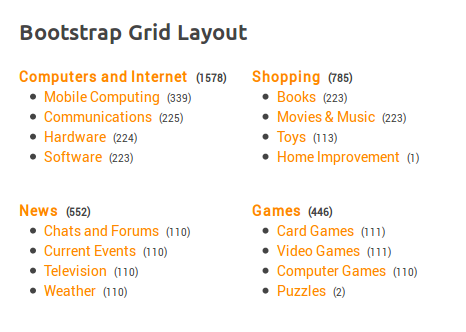 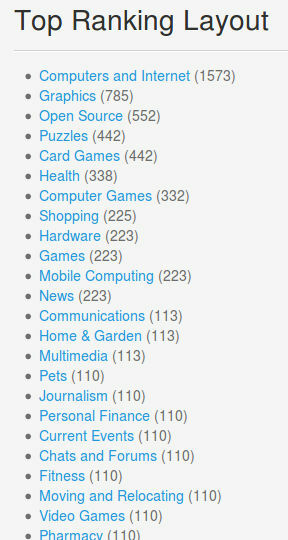 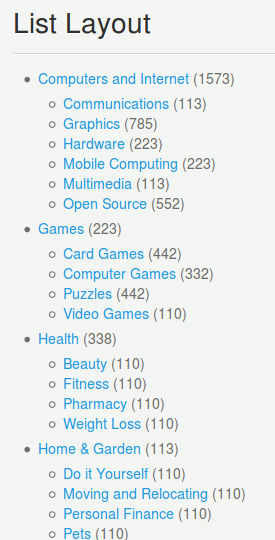 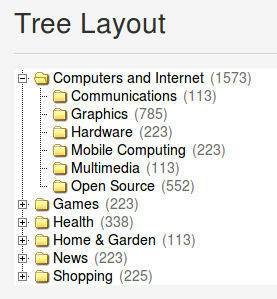 A high-level module to display a Categories Widget in an easy-to-navigate directory. 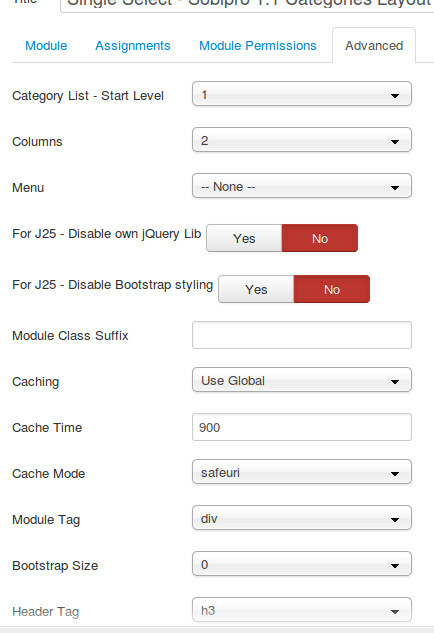 Menu - Menu to be forced in each category link. 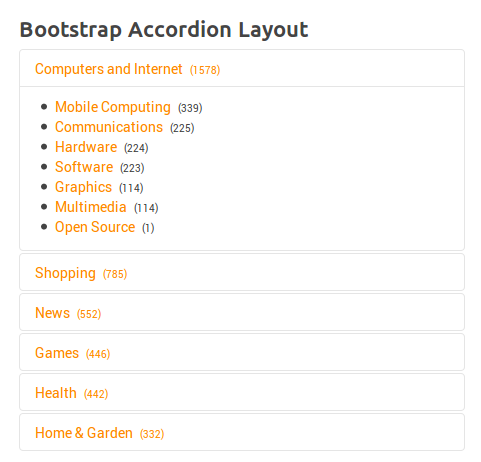 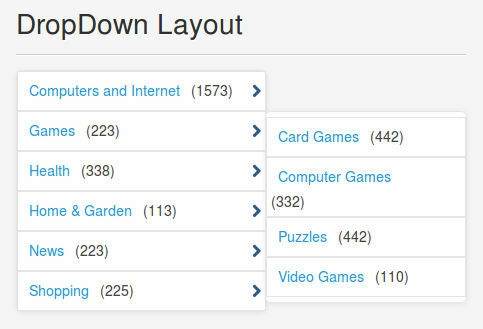 Layout - Default, Drop Down Menu (CSS), SobiPro 1.1 Single Select, or TOP Rank Layout.